“Those who invented laminate can reinvent it over and over again” – this is the positive, confident motto used by the players in the EPLF, the Association of European Producers of Laminate Flooring. For four decades, they have constantly combined modern technologies with creative ideas in order to develop new generations of laminate that are superior to their predecessors in every case. 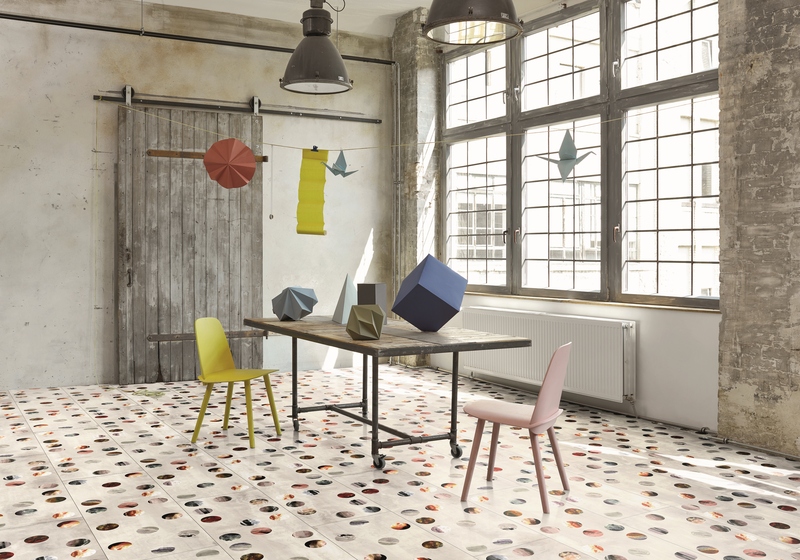 And now, digital printing is proving to be a major innovation driver for the European flooring industry and its suppliers. Ever since the first laminate floor covering was developed by a Swedish company in 1977, European specialists have consistently provided key impetus for innovation. They have gained huge experience over four decades and this has helped them to follow new paths and to make each new generation of product a little better than the one before. On more than one occasion, the use of innovative print technology has driven major advances in the development of laminate flooring. The first directly-coated laminate flooring (DPL, Direct Pressure Laminate) entered the German market at the end of the 1980s. This nudged laminate flooring products out of the high price bracket, making them more affordable for everyone. 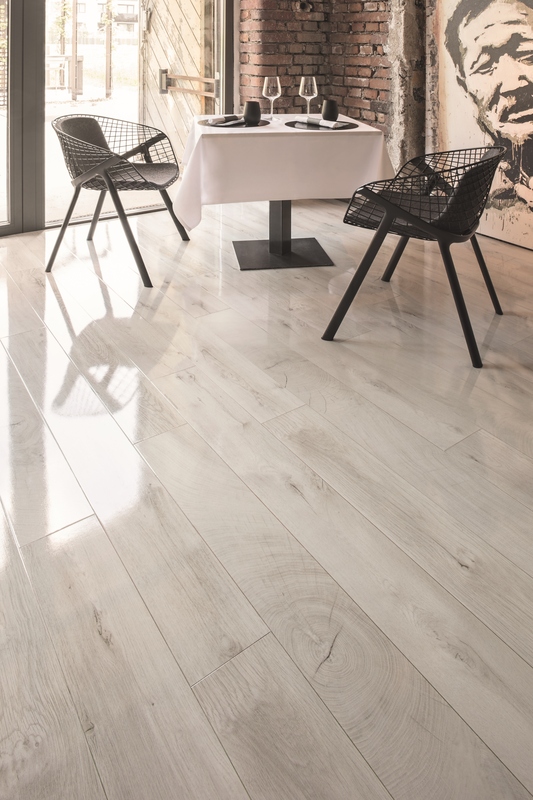 The excellent value for money secured a global triumph for European laminate and was also the reason why manufacturers increasingly became involved with this flooring and were able to continue developments. The surface appearance of European laminate floors experienced a significant leap in quality in the 2000s when synchronous pore printing (EIR, or Embossed In Register) was developed. While DPL laminates still had a relatively smooth surface, their realistic appearance and tangible feel improved their sensory impression; the wood textures and realistic “V” grooves heightened the feel of real wood. 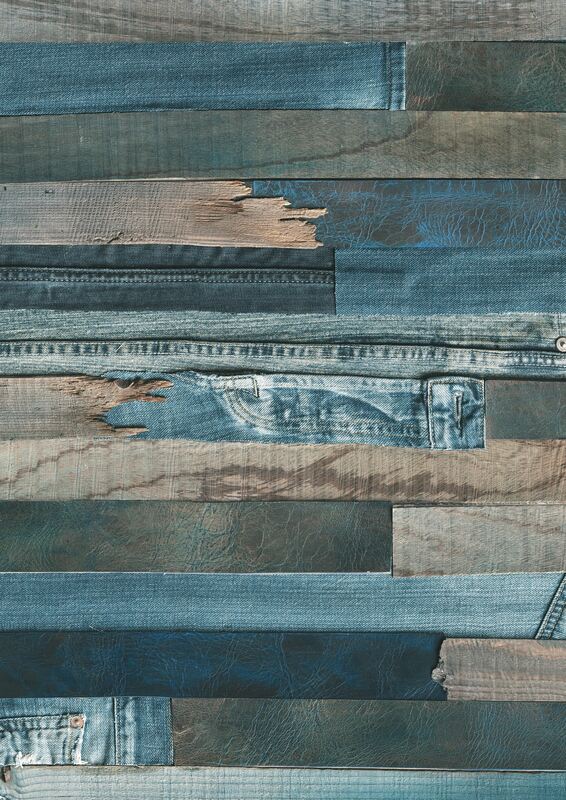 As a result, European laminate became the master of the rustic furnishing style. Tile effects, which were becoming increasingly popular, also became more realistic through the use of synchronous pore printing. A few years later, indirect gravure printing (i.e. direct printing) came into use as a quick production process for high-quality multi-colour printing. For the first time, the decorative surface could be applied directly to the HDF core using four-colour printing – without the use of decorative paper. This had the effect of bringing more warmth to the surfaces of the boards and a new level of authenticity to its look and feel, whilst reducing the electrical surface resistance. At the same time, this innovative printing technique meant that long plank dimensions could be produced whilst avoiding pattern repeats. The attractive wood effects with their natural colouring and textures could be shown to their best advantage on these generously-sized planks. Laminate collections were thus enhanced and offered even greater scope for interior design. The flooring industry is currently experiencing another technological boost: the digital revolution is covering all aspects of the development, production and marketing of laminate, and changing them forever. This poses new challenges for every player in the field, as the implications of digital printing extend far beyond mere technical implementation. The potential switch from centralised to decentralised production could result in ideas for new sales and business models. The skill and expertise of decor printing companies gained from gravure printing will remain crucial for digital printing, because their in-depth knowledge will ensure that digital decor print files will meet the high quality standards required for print image and colour rendering. Modern digital printing presses are highly-efficient production systems with a capability that holds interest for an increasing number of applications and markets. 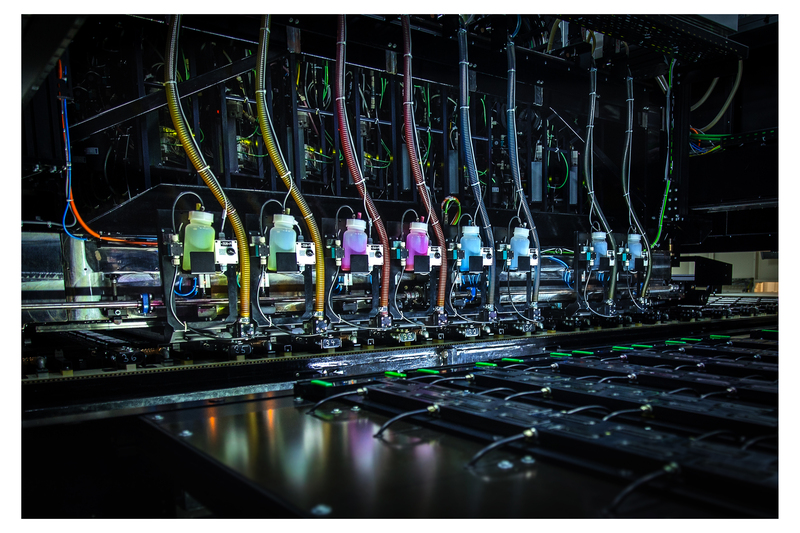 The advantages of this technology are well-known: the printing systems receive the necessary data directly from the computer – without taking a circuitous route via unchangeable printing plates or impression cylinders. 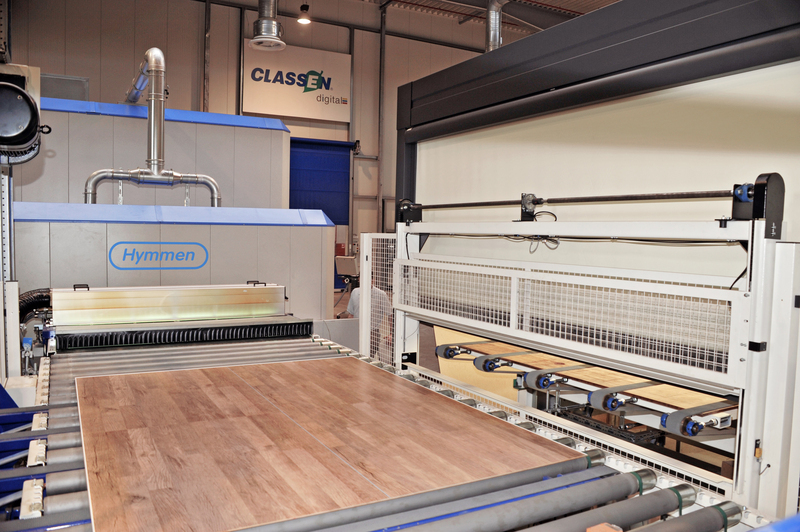 Digital data transfer increases flexibility throughout the entire process of laminate floor production. It means less investment in cylinders, reduced make-ready times and minimal storage costs. Producing new designs digitally significantly reduces the time it takes to bring products to market. Digital printing enables the speedy changeover of decor patterns, a quicker reaction to customer requests and prompt implementation of new decor concepts – for customised mass production as well as small batches. 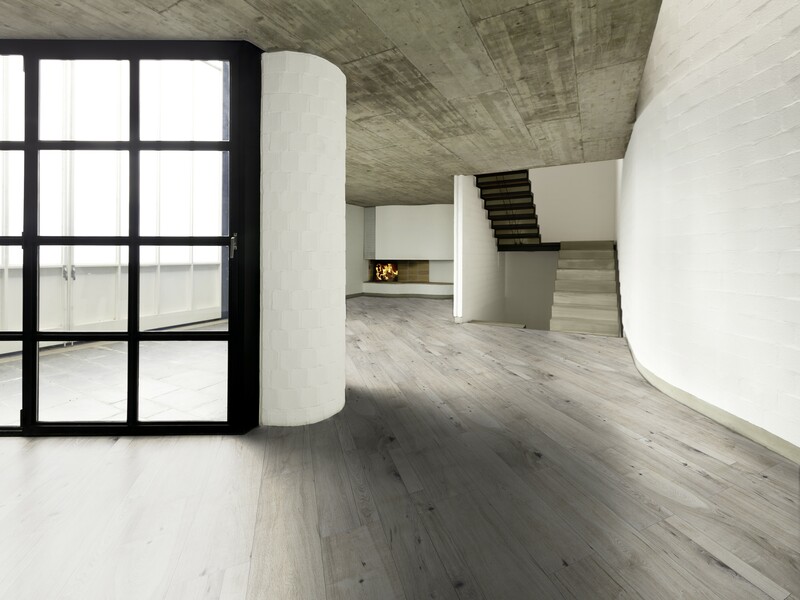 By introducing industrial digital printing in their laminate flooring production, European producers and their suppliers are setting new standards. It’s thanks to digital printing that “endless decors” can be manufactured for the laminate industry. Whereas previously the diameter of the impression cylinder (usually 1,370 mm) determined the repeat length, it is now possible to make decors with extra-long repeats up to 6,000 mm – that’s a quarter of the number of repeats, a perfect solution for true-to-nature decor effects and broad planks. A greater variety of products is possible due to a free choice of sizes and the far greater choice of colour variations within the collections. The visual appearance and feel of the surfaces can be varied further by using textured 3D surfaces or “fully synchronised pores”. In the supply sector, profile manufacturers have obviously been taking advantage of digital technology for some time now when printing customer-specific decors on various core materials such as wood, plastic and aluminium. For several years, decor printing companies, machine builders and flooring manufacturers have been working flat out on a variety of concepts to develop industrial digital printing for the flooring industry. One of their objectives for the future is to offer the entire range of gravure print decors digitally. When creating digital decors, some companies rely on colour pigments also used in gravure printing, to ensure adjustability in the classic printing process and potentially avoid metamerism, when colour effects vary depending on the light conditions. Representing certain effect colours such as opaque white, gold, mother of pearl and glitter is still problematic; due to the larger pigment particles, these cannot be produced on digital printing lines at the present time. Up to now, printing digitally on paper resulted in a relatively limited colour space, when standard decor papers are used. Admittedly, special inkjet papers allow for more colours but they are much more expensive. Some digital printing lines don’t use paper, however, and the inks are printed directly on the pre-treated HDF boards. Each of these methods has its own challenges and poses increasingly tricky problems for system designers, which take patience and the relevant expertise to resolve. As a general principle, it is also important with digital printing to ensure that the decor papers and colours have good impregnability; after all, the laminate product will need to comply with all standard requirements at a later stage – still a difficult task in practical terms. A major factor when evaluating the economic viability of digital printing systems is the cost of the print heads and special inks. Up to now, print heads have made up around one third of the cost of a digital printing unit. Equally crucial factors are the print speed attainable and the reliability of the inspection systems for real-time error detection and correction. One fundamental requirement is that digitally printed decor papers must be capable of being processed seamlessly within the value added chain. If, for example, it continues to be feasible to print conventional print base papers reel-to-reel within the digital printing process, the next production stages of impregnation and pressing can be carried out exactly as for classic gravure. The machine should also allow for problem-free switching between the various print processes, so that subsequent orders can be executed reliably without much time and effort needed for changeovers. Three-dimensional surface structures can also be achieved with digitally printed decors, for the most part using analogue processes. 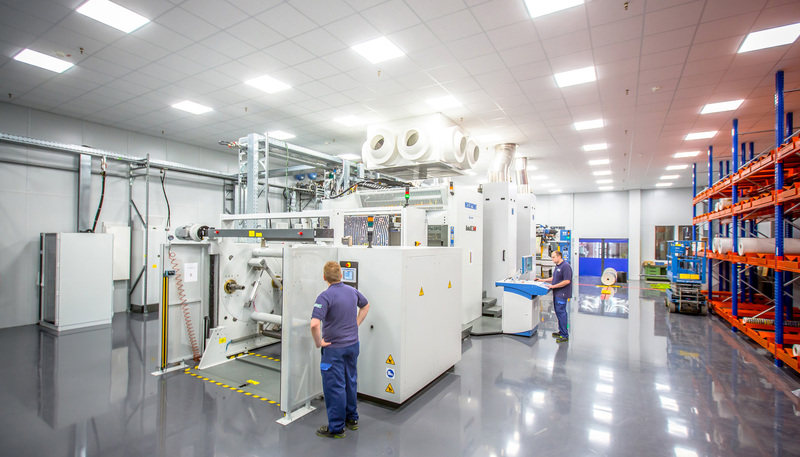 As an alternative to the classic melamine coating system, a new, compressible UV lacquer coating system has recently been developed which uses the laminate producer’s existing press plates. The digitally printed core boards are treated with a wet lacquer film and are then transported directly into a high-speed press with press plates to give them the required texture. Immediately after the pressing process, the surface structure is fully cured within a very short time using a conventional UV lamp. After cooling, the plates can immediately be used for further processing. System designers have pointed out that surfaces produced in this way have a warmer feel and have superior impact and footfall sound properties compared with conventional melamine surfaces, and that they are very resistant to scratches, scuffing and chemicals. Another newly-developed concept combines industrial digital printing of decors with digitally-produced synchronous decor textures (EIR, or Embossed In Register).With the Digital Lacquer Embossing (DLE) technique, a single-pass digital printing system prints a transparent liquid medium on a layer of UV lacquer that is not fully cured. The required textures are produced with the aid of physical and chemical reactions. These 3D lacquer surfaces comply with the existing quality requirements for textured surfaces in terms of hardness, bonding and scratch-resistance. So what will become of gravure printing? 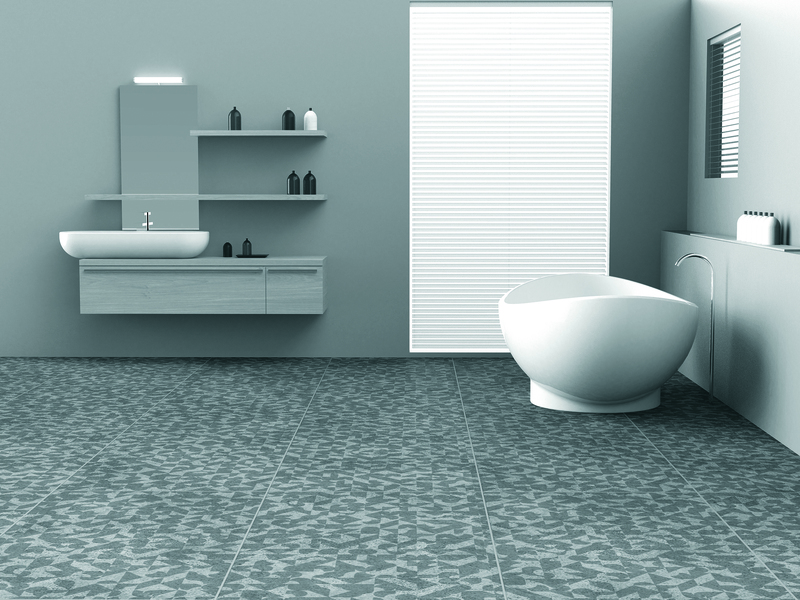 Digital printing for laminate floor production is evolving and making significant advances. That’s why the experts at the EPLF are confident that this technique will be a key determining factor in the flooring sector for the immediate future, although it seems rather unlikely that digital printing will ever completely replace classic gravure printing. The two technologies can satisfy different requirements and sales channels, so they are more likely to exist side by side for the foreseeable future. What is evident is that digital printing extends printing capabilities. So rather than becoming an outright substitute for gravure printing in the laminate sector, it has the potential to be used as an innovative basis for new, future-proofed product concepts.